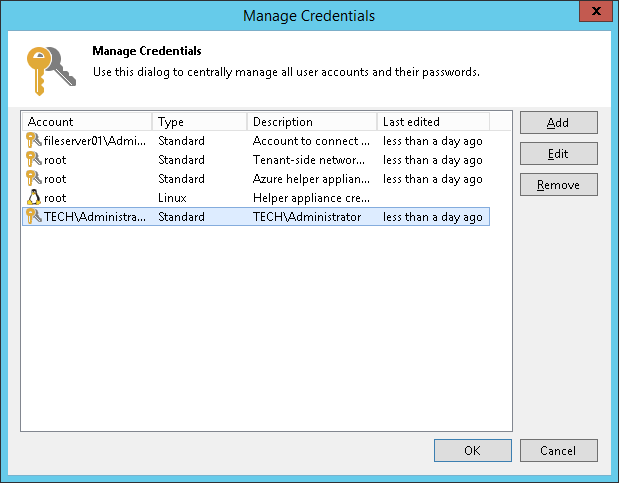 You can edit or delete credentials records that you have created. If the credentials record is already used for any component in the backup infrastructure, Veeam Backup & Replication will display a warning. Click Yes to confirm your intention.